This year's LEADERSHIP TRAINING through GAMES event at Twin Oaks Campground. 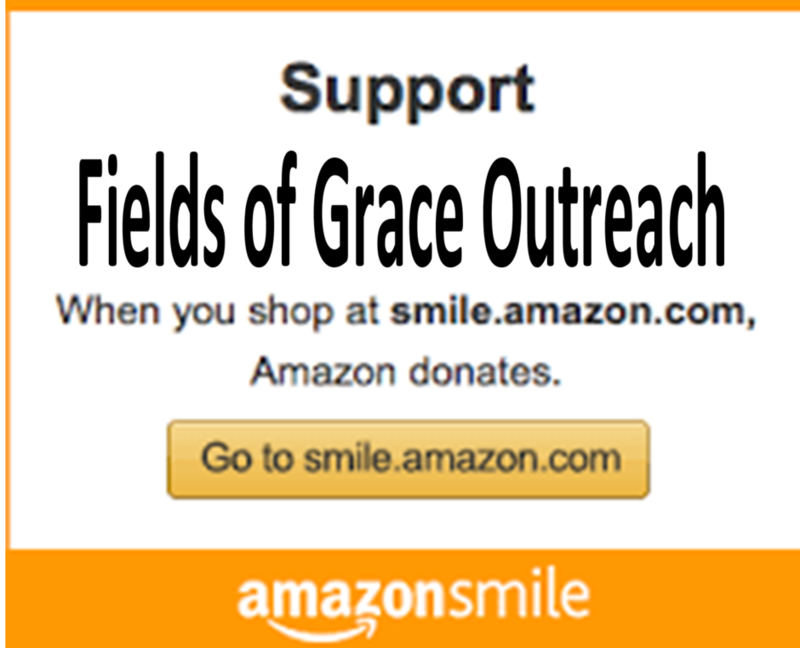 Fields of Grace partners annually with the Schoharie County Youth Bureau to bring this terrific leadership training to our four-day summer camp experience. A picnic supper for all participants follows the Leadership Games. All ages are welcome to attend. Small children must be accompanied by an adult. 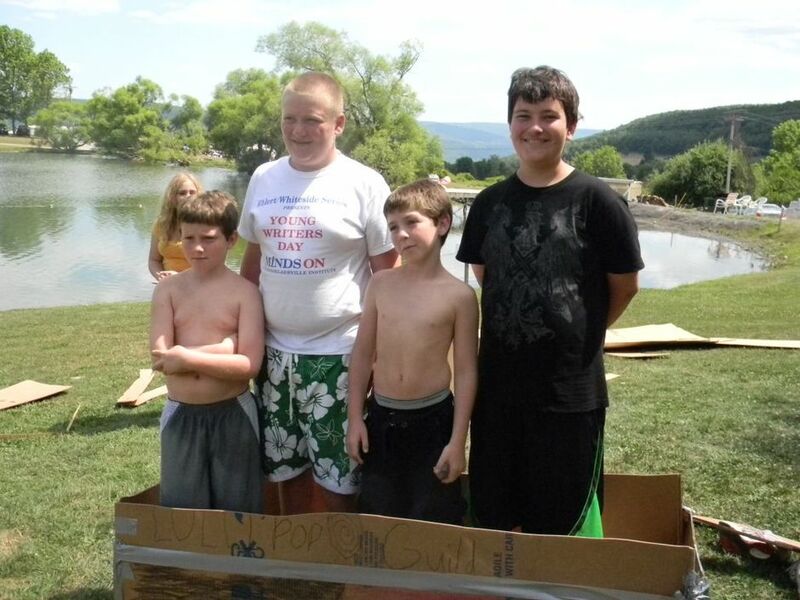 Our Annual FLOAT-a-BOAT Leadership Competition Event is held during our Summer Camp days. Gather your team and join us for this fun learning adventure. 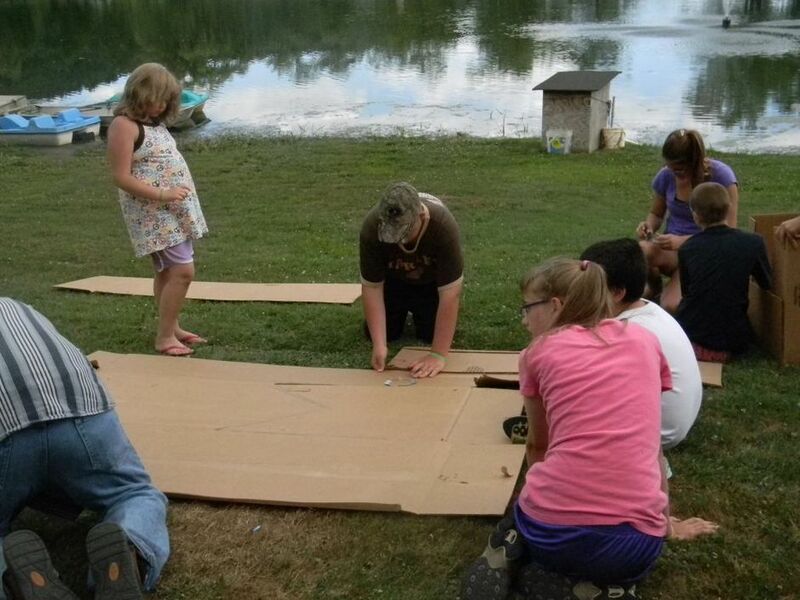 Each team is given a pile of cardboard and a roll of duct tape to design and execute their own "boat" and choose their teammate to enter the boat and see how long their "float-a-boat" will float! It's an entertaining way to stretch your imagination and learn to work as a team.